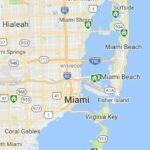 In the High Pines area of Miami, the first luxury real estate bitcoin to bitcoin sale has taken place. The seller, Michael Komaransky, asked his real estate agent to include bitcoin as an accepted method of payment for the multi-million dollar property. Both the seller and the buyer are early bitcoin investors. The property sold for 455 bitcoin which was supposedly worth $6M at the time of contract. Closing took place on February 2nd. I checked the price of bitcoin yesterday ($7,652.02) and today (up at $8,519.34) and it appears those same 455 bitcoin are worth less than $4M today. OUCH to the seller. It seems the buyer bought at a great time.